This latest Wingnut Wings kit was released in late March 2013, at the Easter Weekend Omaka Classic Fighters Airshow, in New Zealand. Like other Wingnut aircraft, the Fokker DVII is a top-quality production. 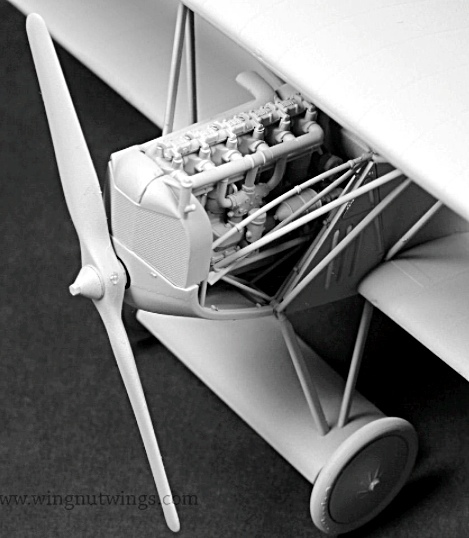 The 1:32 scale Wingnut Wings Fokker DVII has 198 injection-moulded components, including 36 parts that relate specifically to the BMW IIIa-powered DVII ‘F’ version. 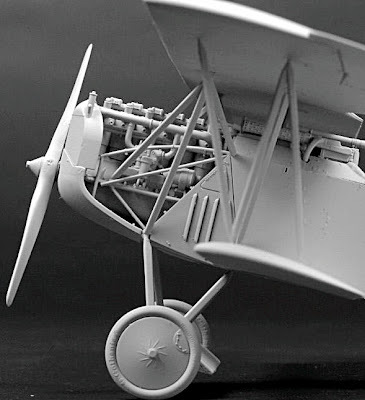 There are also eight photo-etch metal parts in the kit, plus propeller and engine cowling options. For the skilled model maker, full rigging details are supplied to make a museum-grade model. The pictures show an unpainted prototype model, nice, as you get to see the fine detail that has been incorporated, especially in and around the engine compartment. 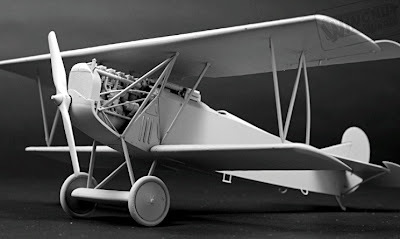 Also visible are the welded-steel tubular frameworks around which the fuselage, tail and ailerons of the highly successful real machine were built. 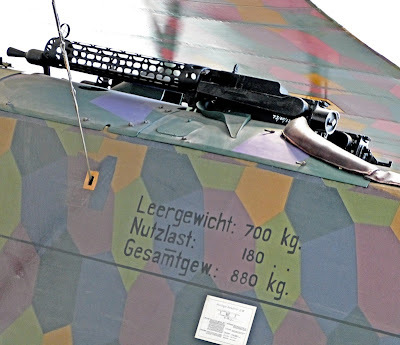 The 8.7m wingspan of the DVII translates to a 1:32 scale span of some 272mm (10.7in) and an overall length of 217mm (8.5in), proving that the large format of Wingnut Wings aircraft is really worthwhile for fighter planes of this era. And of course, 1:32 scale is handy for matching with various model vehicles, including kits from Airfix and ready-builts from Scalextric. 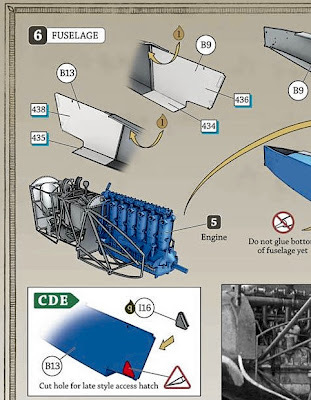 Superb instructions (above) are a hallmark of Wingnut Wings productions, and this one is no exception. Components (below) are clearly numbered on their runners. The Fokker DVII is reckoned to be the best German fighter aircraft of World War I, certainly far better in almost every way than earlier types such as the Albatros DVa, Pfalz DIIIa and Fokker Dr1. Just two (above, below) of several options provided with the kit. 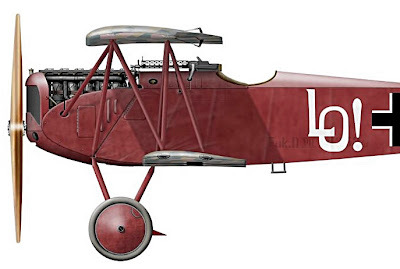 Multi-coloured finishes were a characteristic of many German machines during World War I. 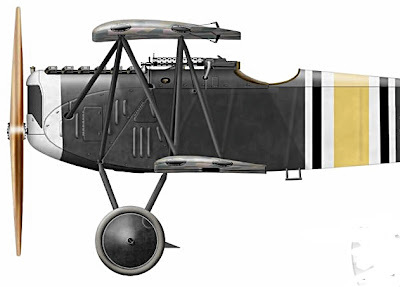 The wooden wings were a thick, high-lift design, though with steel tube-framed ailerons. Early machines were powered by a Daimler-Mercedes DIIIa, but most production aircraft had the more powerful D.IIIau version, with the BMW IIIa being fitted to final aircraft. This gave much better high-altitude performance than the earlier powerplants. The real thing (above, below) on display at the RAF Museum, London. 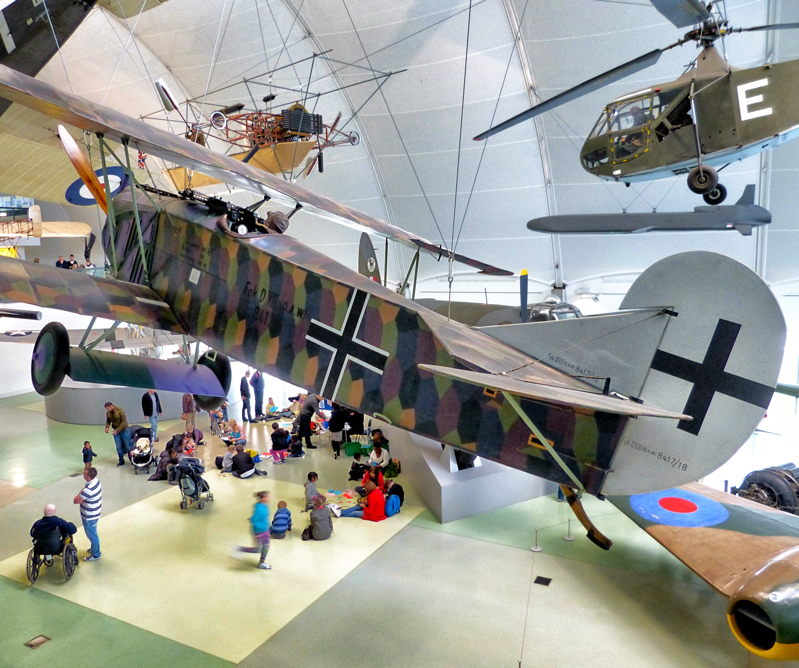 There is a huge amount of military aviation history on show here, and the place is definitely a must-see for any aero-fan visiting London. Excellent production. If you like World War I machinery, get one as soon as you can. 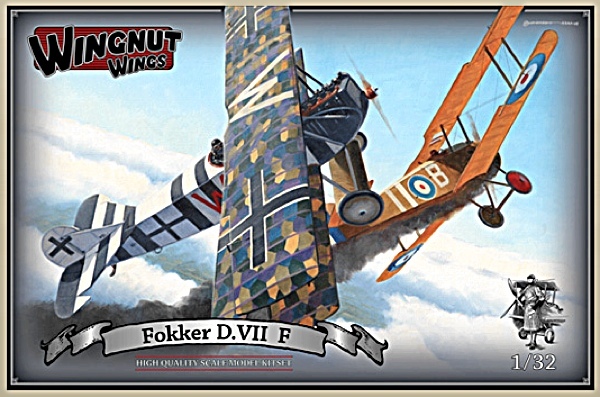 Download the Wingnut Wings Fokker DVII full instruction booklet (highly recommended) for free here. Visit Omaka Classic Fighters here. 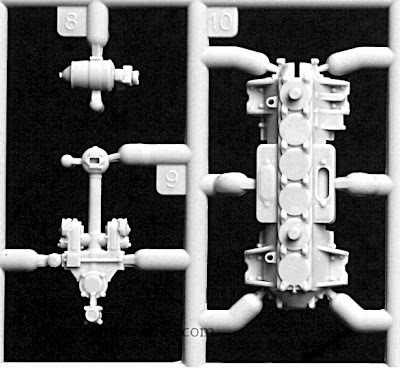 Wingnut Wings kits available online and here. Model pictures, courtesy Wingnut Wing. RAF Museum pictures, David Jefferis.